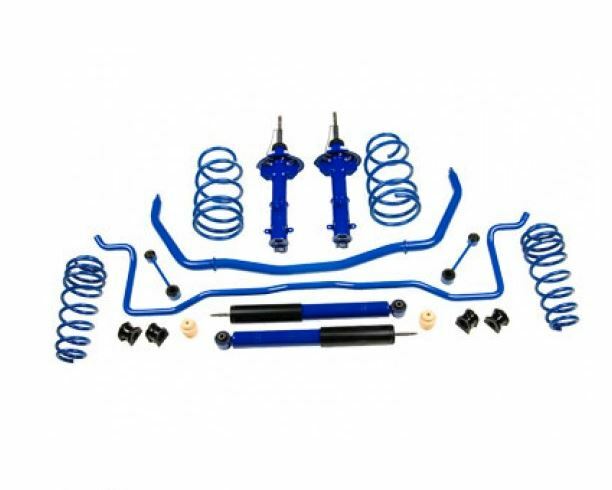 Give yourself a more comfortable ride in your 2011-2014 Mustang with this race-inspired Roush track suspension kit. This kit will lower your Mustang an inch and will give your car superior handling. This kit has been extensively engineered to provide optimum performance to your Mustang and the design will help you to round corners aggressively. Because the kit is precisely tuned, it is seamlessly integrated into your cars' entire system. It's recommended that this kit be used with 18 or 20 inch Roush wheels.